Happy Friday! I am once again participating in Insta-Friday, a look at our week using cell phone photos. Growing up, hockey was big in our house. My brother and my dad played hockey and my dad coached. I wasn't much impressed with sports of any kind, but I won't ever forget falling asleep to the repetitive sounds of a hockey game on the television. Now, with kids of my own, I see how hockey is so much a part of our Canadian culture. Yesterday, the kids watched at school as Canada's women's hockey team captured their fourth straight Olympic gold medal. Those girls rock. And I will be rooting for our Canadian men's team today as they face their top rivals - the United States. Sorry my American friends, Canadians really are nice people, but we kinda think hockey is our game. 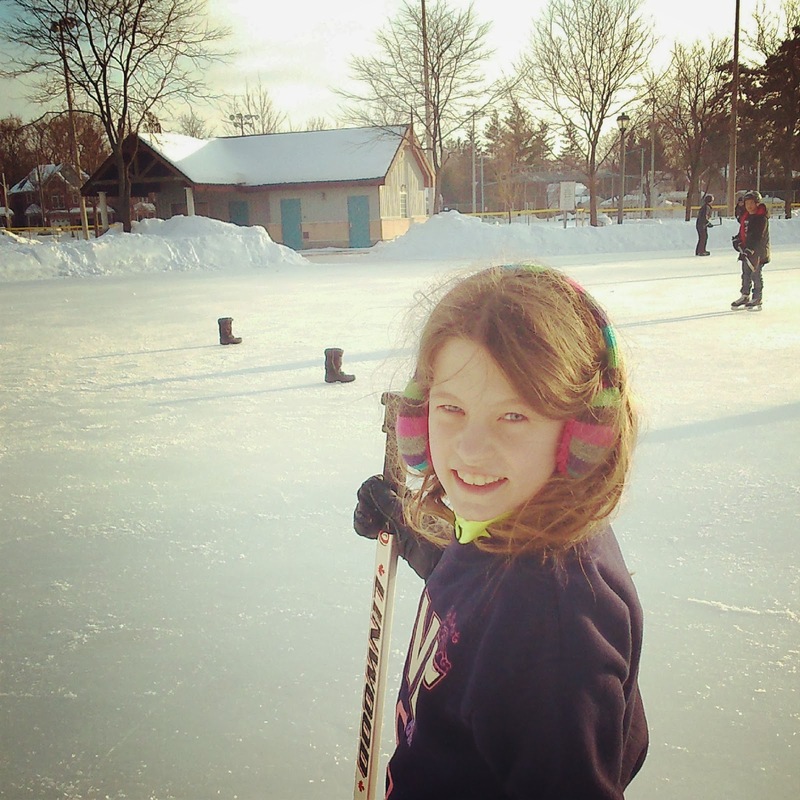 Speaking of, we had a (tiny) bit of sunshine one day after school this week, so we took the kids to an outdoor skating rink to pass the puck around. That's my girl, above. She is most likely NOT going to be a hockey player. She spent most of the time complaining about the poor condition of the ice. Last Friday was, of course, Valentine's Day. We decided to buy very small gifts this year. 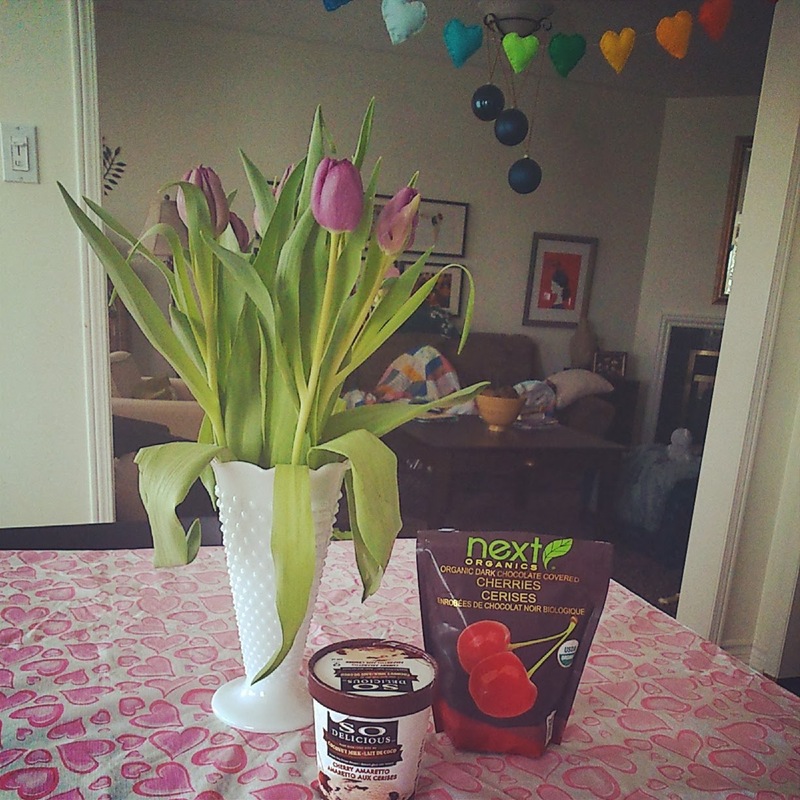 My husband brought home tulips, dark chocolate-covered cherries and So Delicious coconut ice cream for me. I ate a bunch of those chocolates with a couple of rum and colas. Boy was I full! Not a combo I'd recommend. We also ordered a big party tray of sushi for Valentine's Day. Here's the table all set and waiting for our sushi feast. I got some sparkling lemonade for the kids to enjoy. 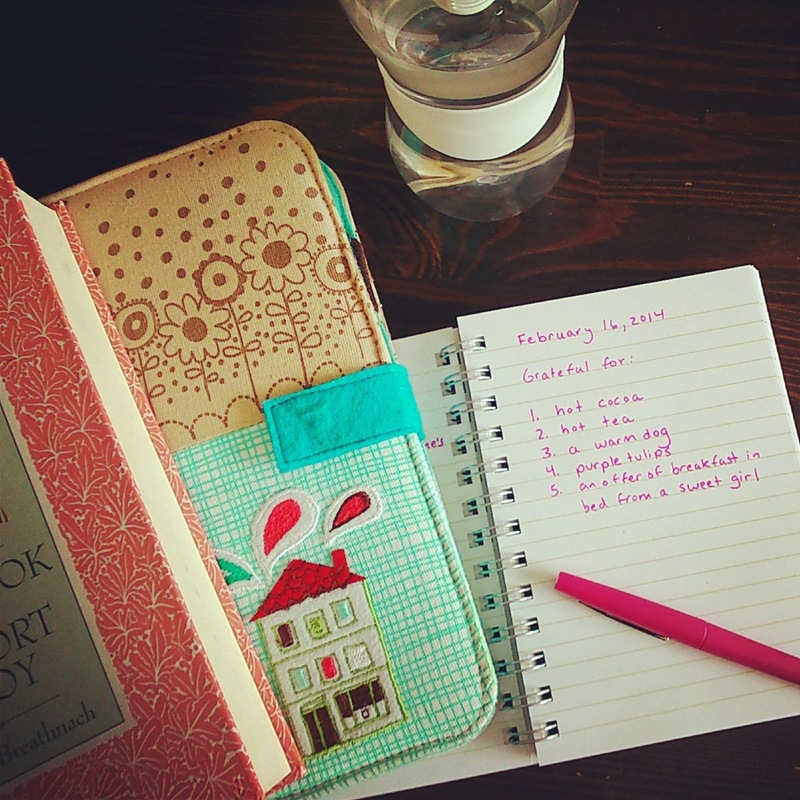 I am trying to offset all of my complaining about the bounty of snow this winter by keeping up my gratitude journal. Right now, we must focus on life's little joys - or get out of here and go to Florida. Do you have a spare couch Wendy? I finally organized my little Martha Stewart coupon folder this week. I dumped about 30 expired coupons and ordered the non-expired ones into categories. I then made an effort to actually use them when I went grocery shopping. Which I did twice this week. I am very bad at budgeting when it comes to food. 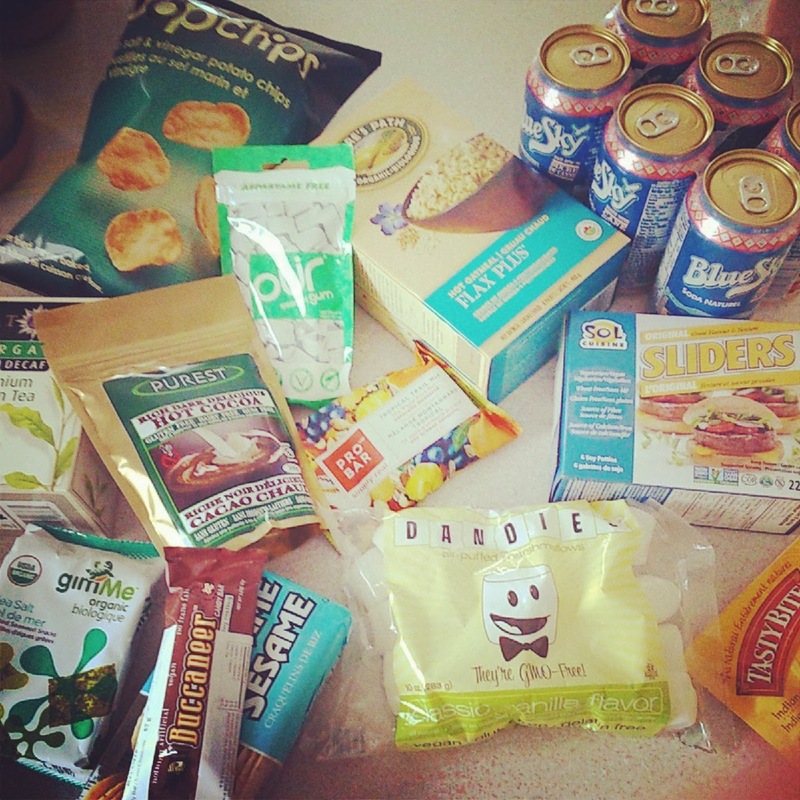 I did my regular shop at the Real Canadian Superstore and then I went to the health food store a couple of days later. That's when I bought these goodies. I decided to splurge on a good quality hot cocoa mix and some Dandies vegan marshmallows so the kids and I could have a nice treat after school yesterday. I also bought a few snacks to prepare us for a full day of watching my son play basketball tomorrow. 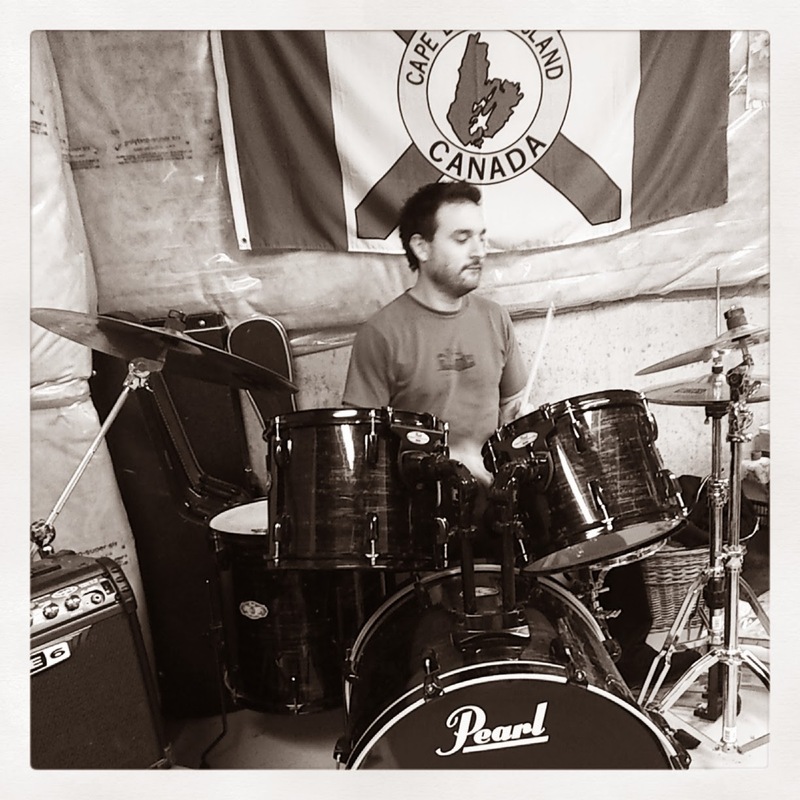 In other news, my husband is still in the process of (very gradually) soundproofing our storage room to accommodate his new drum set. In the meantime, it gets pretty darn loud over here! I have yet to take down our heart garland. I find it cheers me. It's so colourful and the kids and I made it together. I snapped this view of the husband cooking and the dog begging one day. The best way to cook dinner is by providing directions from the couch, you know. I'm sorry, I can't help it - a couple more photos to complain about the weather. 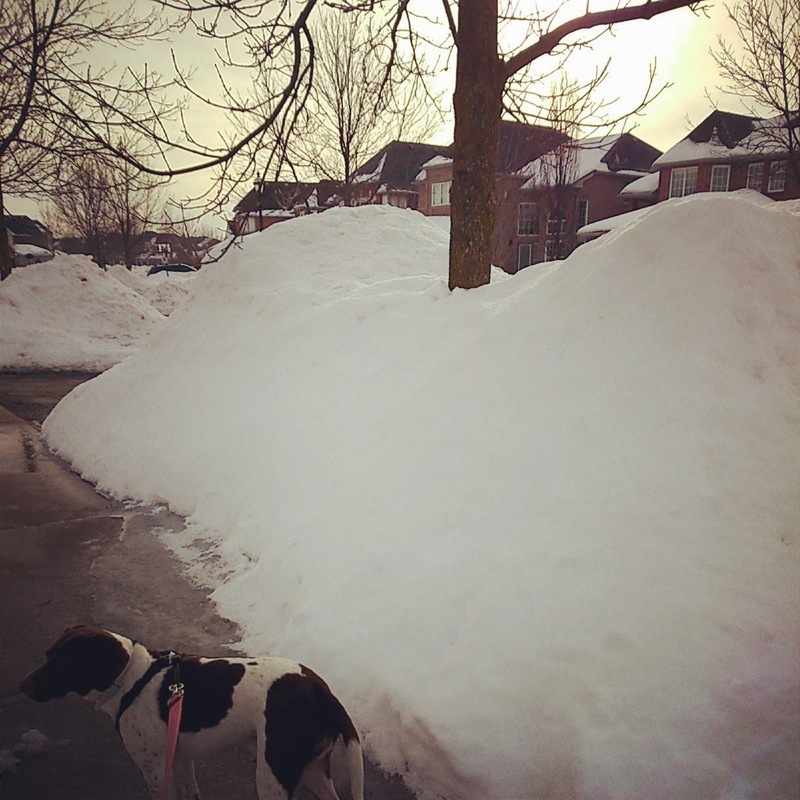 Yesterday morning, I walked the dog and took this photo of the mountains of snow at the curbside. Then this. Yes, more snow as I drove my daughter to dance class in the evening. Then rain, then hail, then rain. I'm already dreaming of retirement and spending half the year in a warmer climate. Have a wonderful weekend! Whatcha planning to do? We used to play"The Hockey Song" on our way to Darcy's hockey games, we had the book too, it's a classic, that's for sure! Freezing rain warning last night, wind warning now, our recycle bin was halfway down the road, what a winter! Let's hope we get a long, beautiful summer! We moved from CA to WI a year ago and are still adjusting to all of the snow & cold weather. We LOVE the little frozen ponds though and the kids are thoroughly enjoying ice skating. So cool to get to do it outside! Hope spring comes soon for you too! Happy weekend. Thanks, and have a happy weekend too! Lots of fun, my kids would love going skating. Our closest ice skating rink is only about a ten minute drive away but we don't go much as it tends to be too expensive (even with me refusing to go on the ice, I just sit there taking photos and watching my daughter go around the rink slowwwwly with one of those metal walker thingies. 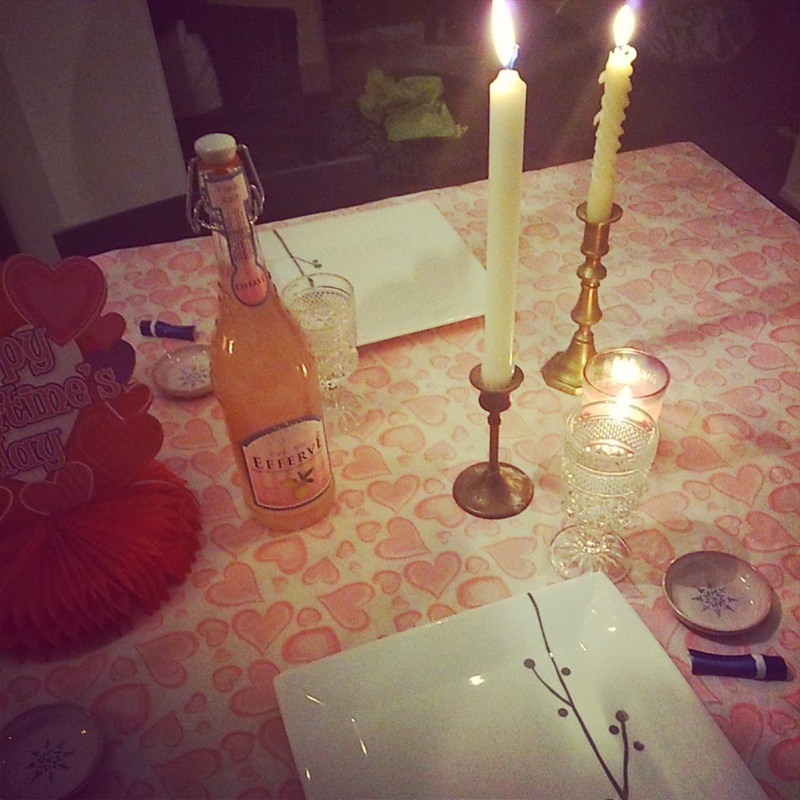 Love your Valentine's set up and the hearts! For this weekend (which has started seeing as it's noon here) we have a big free public event in Melbourne tonight though it will be insanely crowded. Tomorrow there's a local festival on, which will also be crazy busy! LOVE the heart garland and the openness of your home. 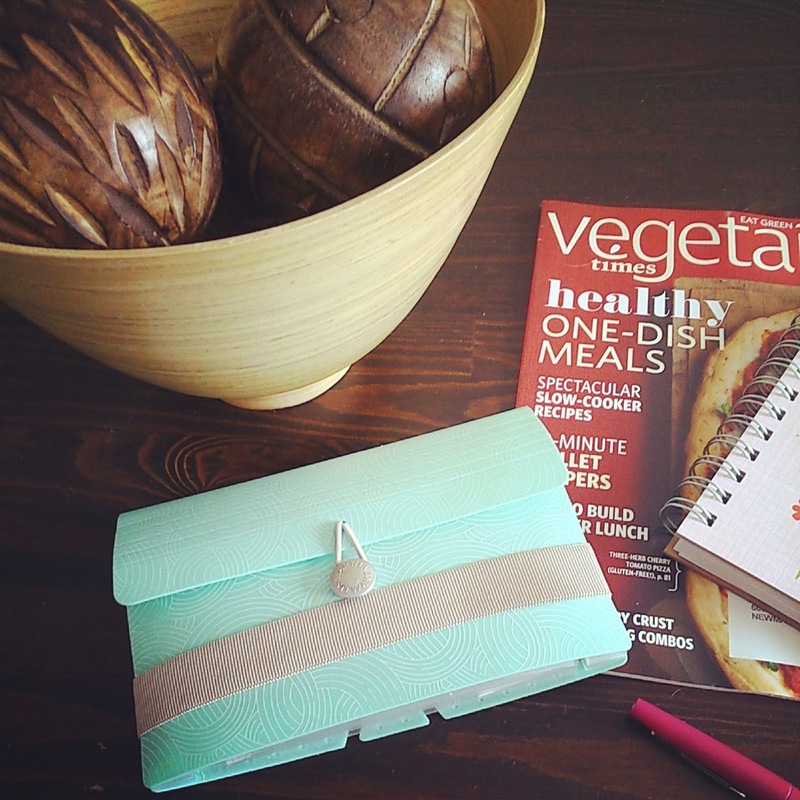 Great idea about the gratitude journal! I've been trying to count my blessings lately to keep from being bogged down, but it can be hard, for sure. I think that the heart garland could stay up year round, so cute!! Yes, it can be hard indeed! I may just keep the heart garland up a bit longer! Thanks Ruthie. What a wonderful Post :) ,love it what you write to the Pictures! Love these pics, a great summary of the week. 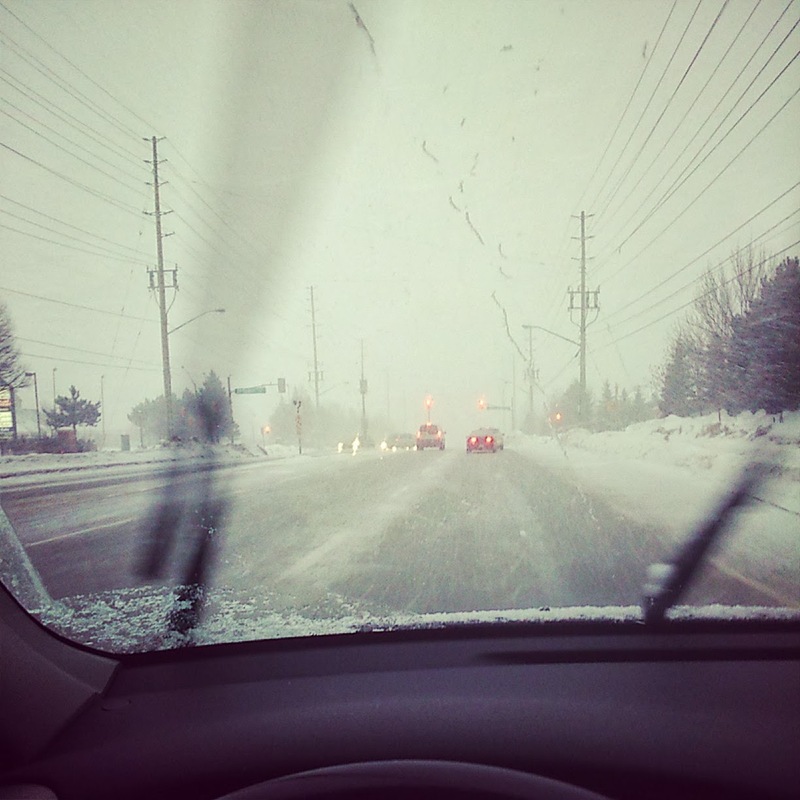 I too have to stop complaining about all this snow and nasty weather, but then again isn't this the right of every Canadian? 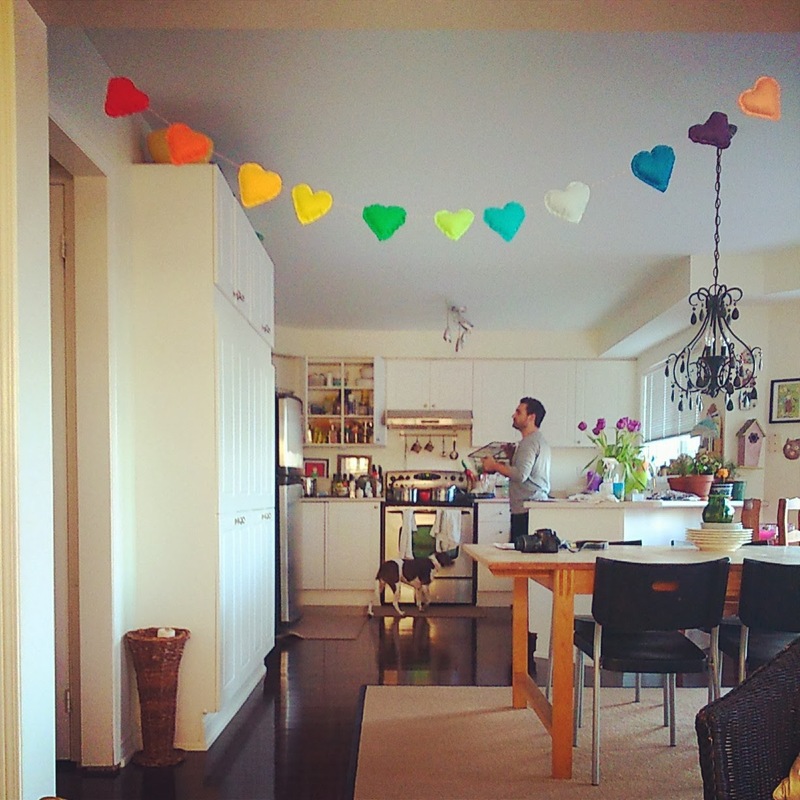 Keep up that heart garland, it is adorable and looks perfect in your house! Have a great rest of the week-end. Thanks Pia. The weather just keeps on giving, doesn't it? That's so true, it must be our right to complain as long-suffering Canadians! !